Teri Wilford Wood is Of Counsel in the New York, New York, office of Jackson Lewis P.C. Her practice focuses on representing employers in global workplace law matters, including preventive advice and counseling. At Jackson Lewis, Ms. Wood focuses primarily on international employment issues, corporate governance and investigations, workplace training and restrictive covenants worldwide. Previously, Ms. Wood was chief global labor and employment counsel advising Fortune 100 technology and financial services corporations worldwide. In this role, Ms. Wood served as Associate General Counsel of International Business Machines Corporation (IBM) for most of her two-plus decade IBM career. In this position and previously as Managing Counsel of American Express Company, she had responsibility for employment, labor, immigration, pension, benefits and executive compensation law. Ms. Wood has also served as a member of IBM’s retirement plans Investment Committee, served as legal counsel to the plans fiduciary committee and was Co-Chair of the Law Department Education Committee. While at American Express Company, Ms. Wood served on the Supervisory Committee of the Federal Credit Union and acted as its General Counsel. Prior to her time as in-house counsel, Ms. Wood was an Administrative Judge for the federal Equal Employment Opportunity Commission and, earlier was an associate at a national law firm, both based in New York City. 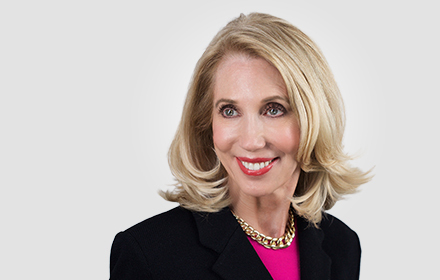 Ms. Wood has served on the Board of Directors of the Association of Corporate Counsel, Greater New York Chapter, and is a past President of the Association’s New York Chapter and Chair of its Employment Law Committee. She has also served as a member of the Board of Governors of Washburn University School of Law and is currently a member of the Law School’s Transactional Law Center. In addition to membership in the Association of Corporate Counsel, Ms. Wood co-founded the Westchester-Fairfield Counsel Roundtable and has served as Co-chair of the ACC Westchester-Fairfield Employment Law Committee. Ms. Wood is a frequent speaker for both domestic and international programs including, Practicing Law Institute, Chief Litigation Officers Summit, Center for International Studies (Salzburg, Austria), NYU, Fordham Law School, ALI-ABA Wage and Hour Seminars, HR Conference Board, Association of Corporate Counsel.